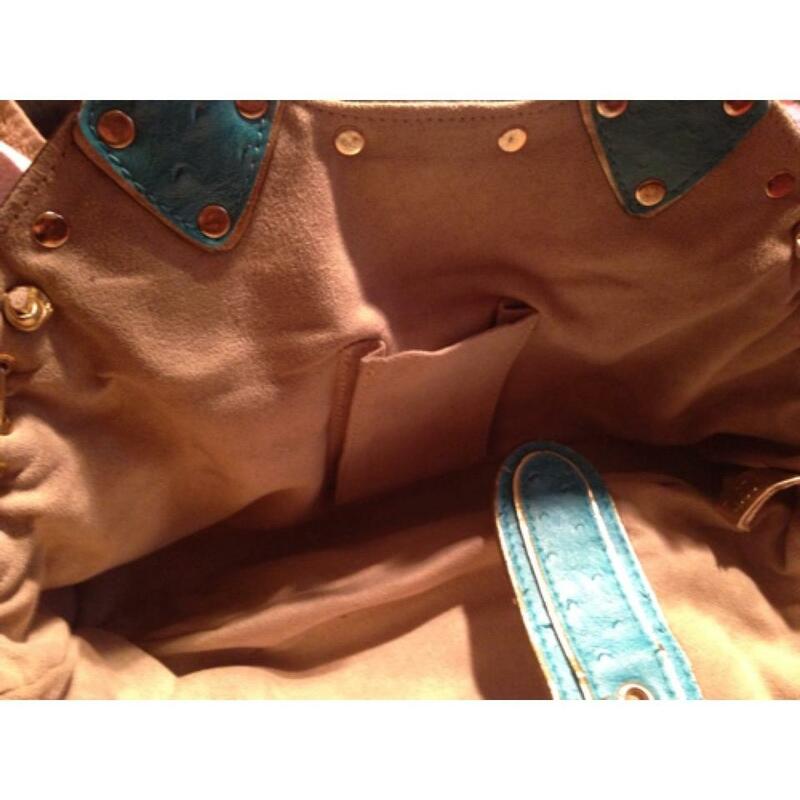 Visible signs of wear. 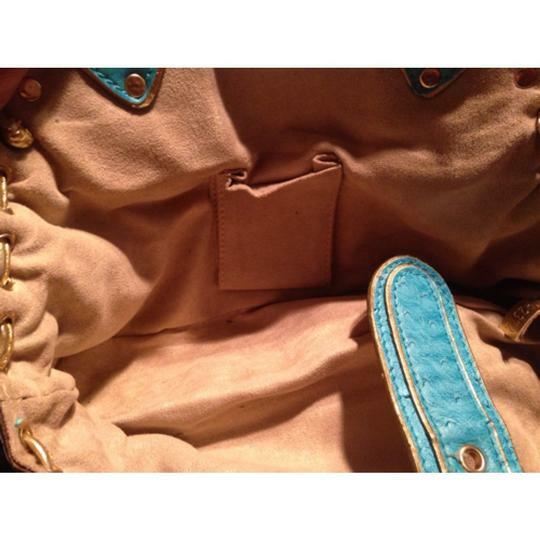 Bag only. 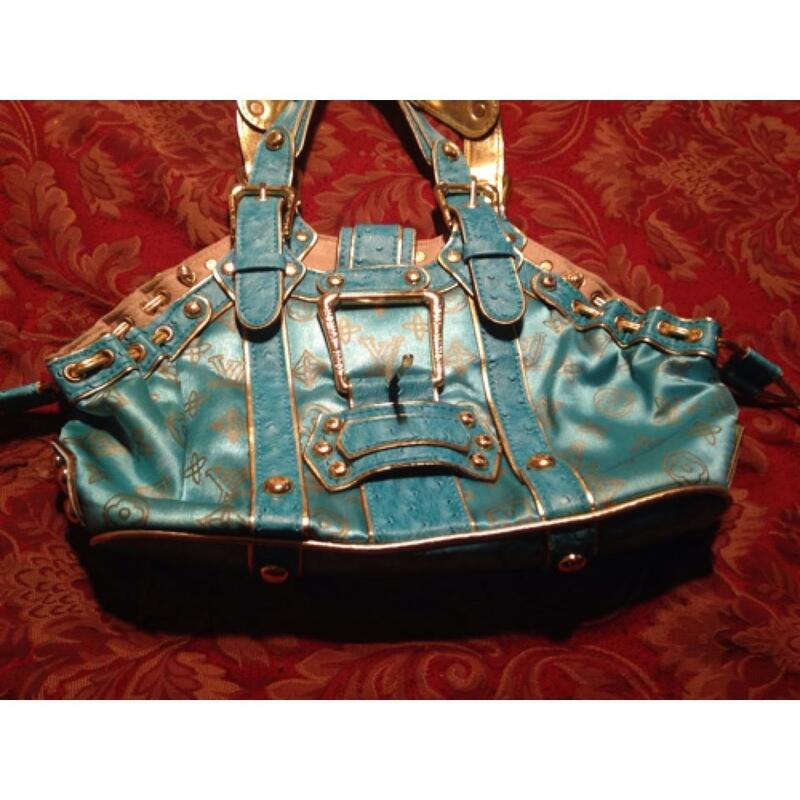 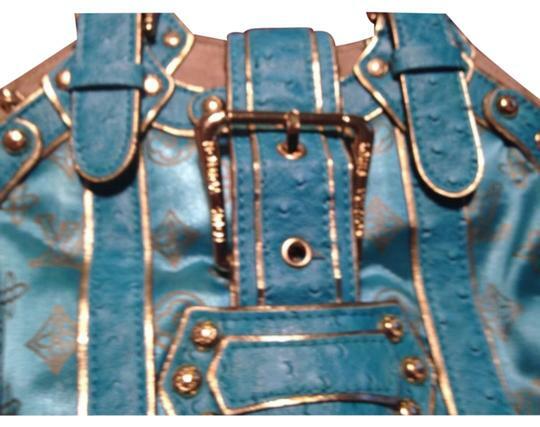 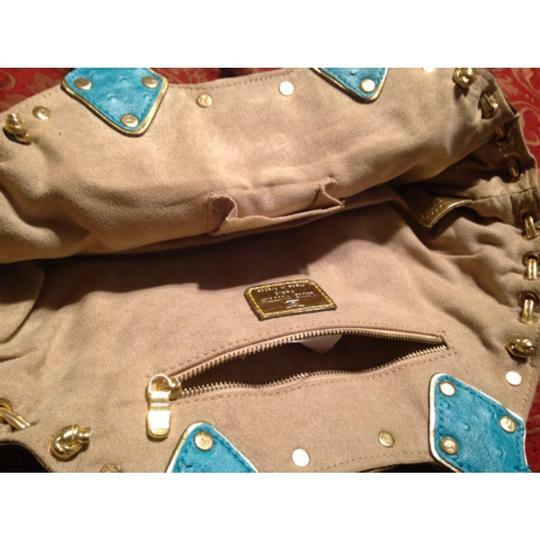 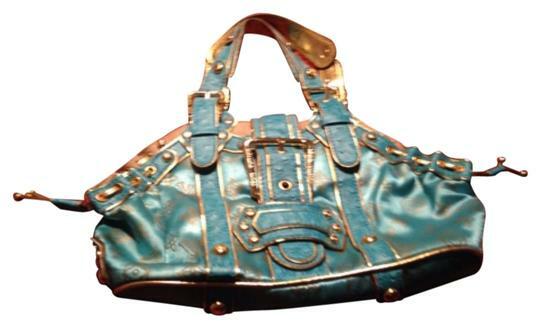 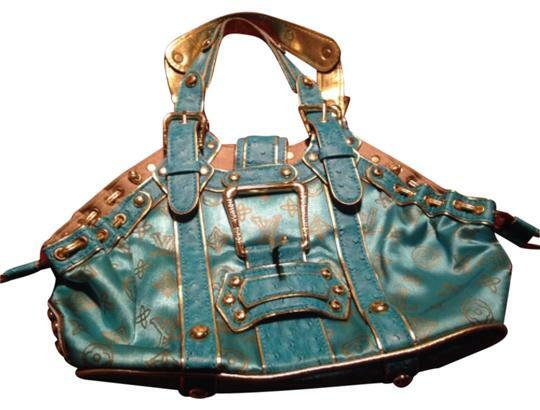 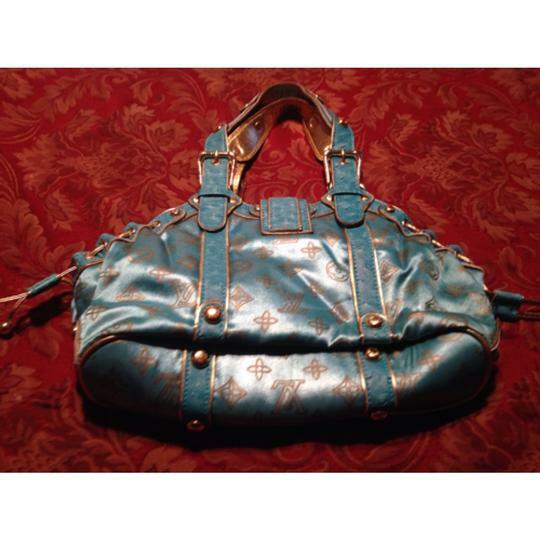 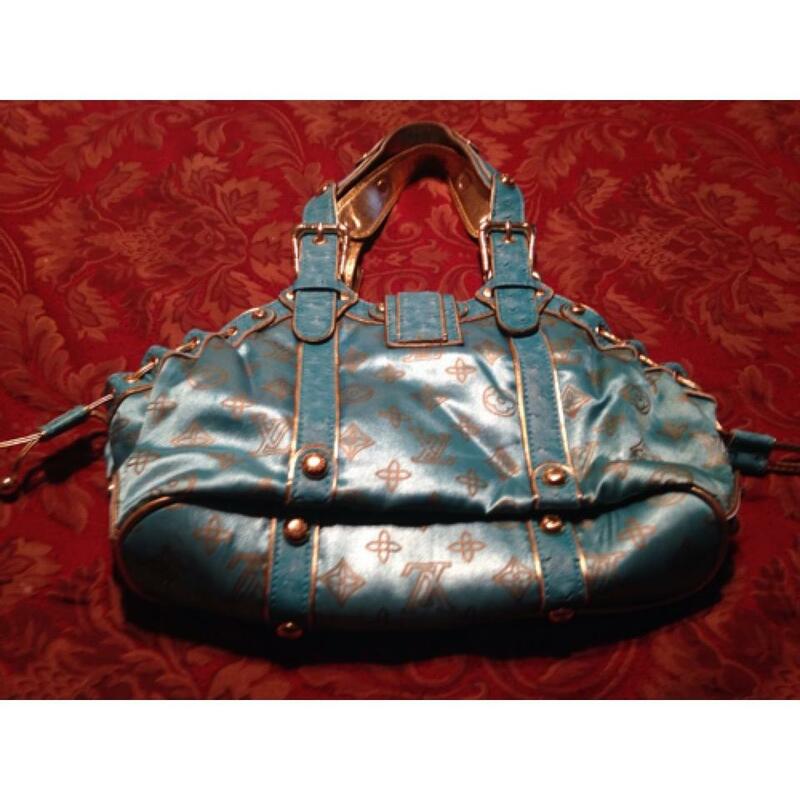 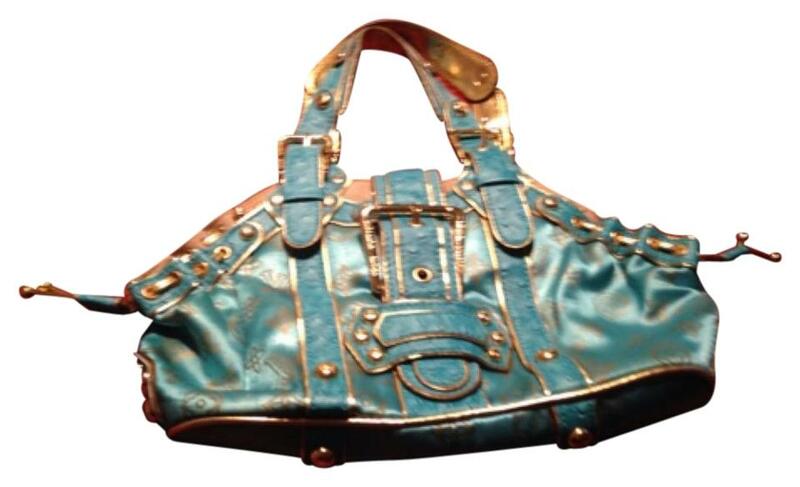 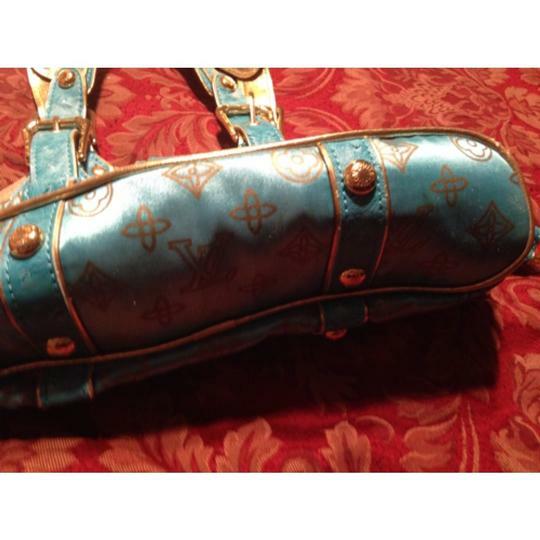 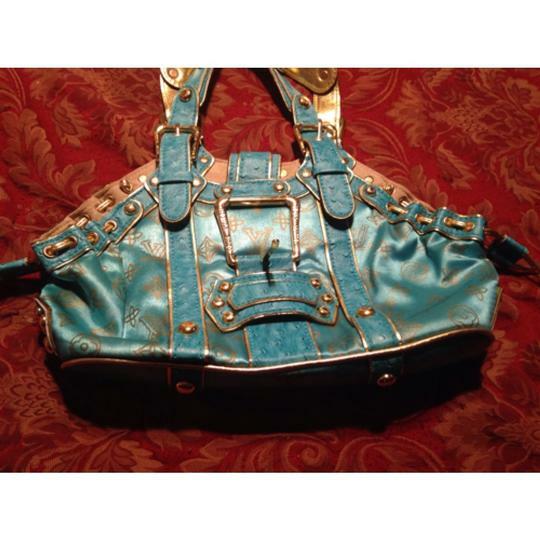 Satchel/Tote features turquoise leather and satin with gold-tone monogram. Also features a large gold-tone fastening buckle, leather trim with gold-tone studded detailing, gold-tone buckled handles (that also fasten). 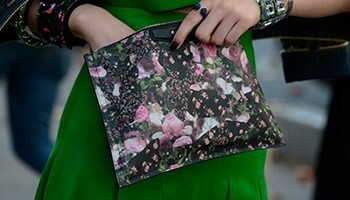 A truly eye catching striking bag.